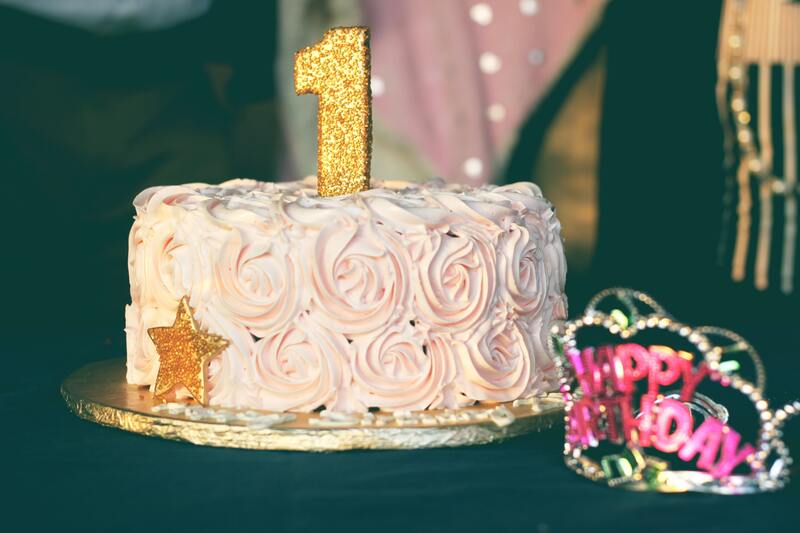 Of course, you are entitled to go as large as you want with your party, but celebrity and Instagram culture has influenced our ideas of what a good first birthday celebration is. If you want a 10ft flower Wall and a gospel choir then go here and good luck to you. But keep in mind that you don’t have to make it huge. Large parties can be overwhelming for babies, so often it can be best to keep it calm by limited the numbers on the guest list. Or you could have a couple of separate events – a brunch celebration for family, followed by a soft-play session for baby friends. Kids can be pretty messy, noisy and energetic, so if you’re planning to invite lots of them, hosting an outdoor celebration is always a better idea – there’s space for them to run around, mess is not such an issue, and noise is manageable. A simple way to to a great gathering could be simply holding a Teddy bears picnic in your back garden or the local park. If there’s play equipment there, you don’t even need to provide much entertainment! A bubble machine, some chalks or a few outdoor toys can sort your whole party and keep the kids happy. In the rush of organising the party, looking after your guests and wrangling toddlers, you may find you complete forget to capture any photographs of this special day. Rope in a grandparent or a friend to be the official event photographer, and task them with getting shots of the day so you can get on with hosting. It’s can also be a great idea to schedule a cake smash photo shoot or a similar session away from the party to mark your child’s birthday on film when they are less distracted and overstimulated. You have a million things to organise, so make life easier on yourself by ordering all your essentials online. Amazon do prefilled party bags which can save you a trip round the shops and often actually work out cheaper than buying all the individual components. A supplier like Ginger Ray does party packs with everything from bunting to cake toppers and invitations all in one style and one bundle. Don’t be afraid to go for the easy options when it comes to your theme and decorations – your future self will thank you!